Our cruise consultant Bert Hyett visited the new Scenic Jasper river ship prior to its first voyage. Read his review below. I was fortunate enough to experience 4 nights aboard the latest Scenic river cruise ship, Scenic Jasper as it sailed from Amsterdam to Antwerp and back again. The Scenic fleet is made up of 11 ‘Space-Ships’. The moment you step aboard, you will notice an incredible sense of space and a level of luxury that other ships can only aspire to. 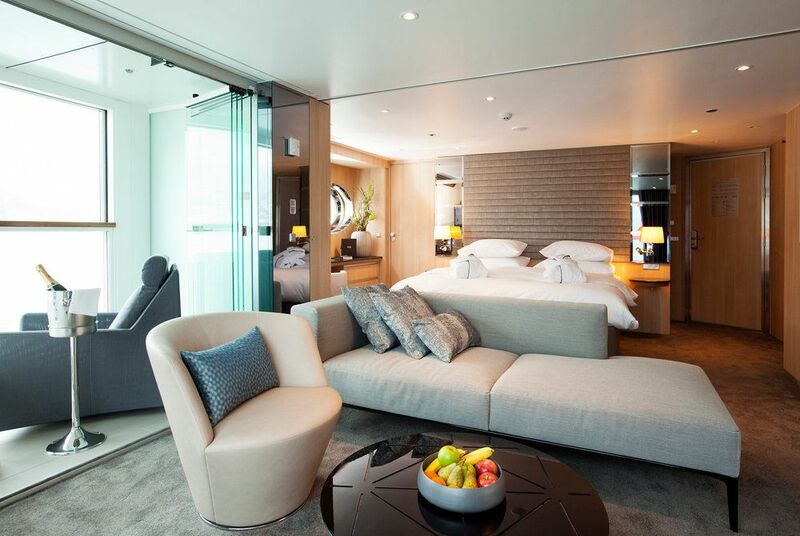 Like any 5 star hotel, every little detail on your ship has been created with maximum enjoyment in mind. Scenic Jasper has 4 decks. The lowest deck – the Jewel Deck – has no balconies only a picture window. Despite this, they are still a decent size at 15 sq metres and like all other suite types, includes butler service, complimentary wi-fi and complimentary mini bar. 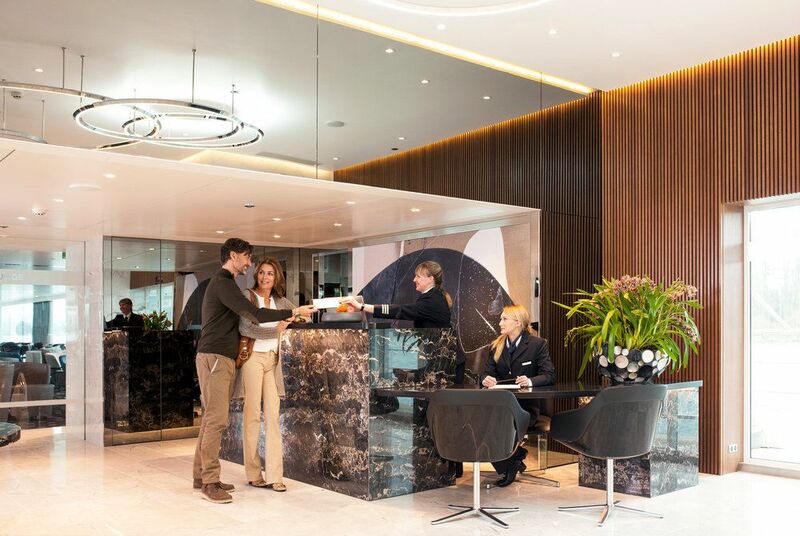 It also plays host to a small hairdresser, massage and fitness centre. The highest accommodation deck is the Diamond Deck which is home to all the top Suites including the Royal Suites and Royal Panorama Suites. 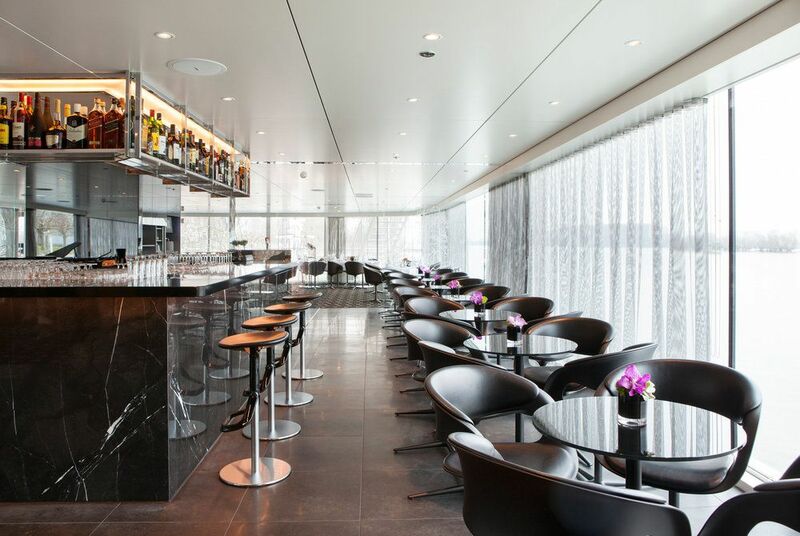 This level also houses the reception, the Panorama Lounge & Bar (focal point of the ship), Portobello’s Restaurant (Italian) and the River Café & Gelati Bar (for light bites). The Sun Deck plays host to the Walking track, the Riverview Terrace and the Vitality Pool – very unusual on a river cruise ship! Scenic Jasper is brand new and has not yet been experienced by the public. This trip was exclusively for travel trade and journalists. She can accommodate 169 guests in 85 cabins. There are 53 crew – mainly European but also a few from Asia. The ship is 135 metres long. Scenic have a five star, ultra all-inclusive approach so literally everything is included (except spa treatments) As a guide, a 30 minute massage costs about £30.00. 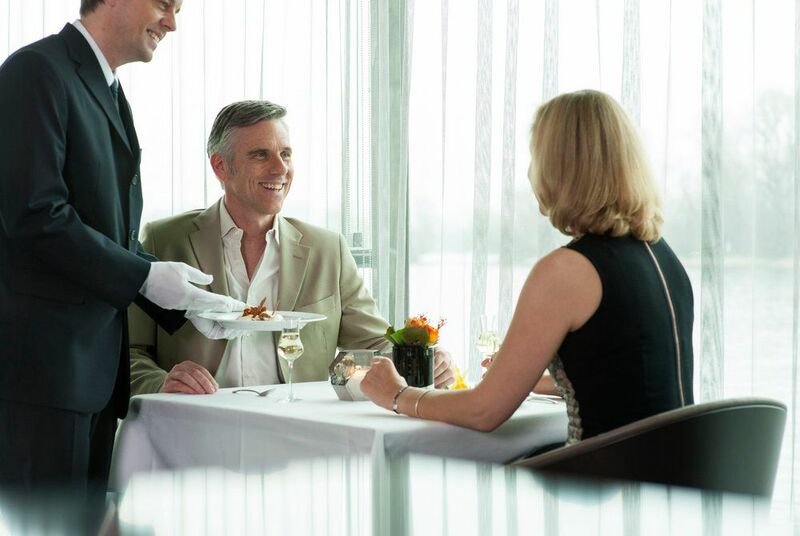 So, all your meals – even the speciality dining options – are included as are all your drinks along with gratuities and taxes. They also include all your travel from home in the UK to the ship. 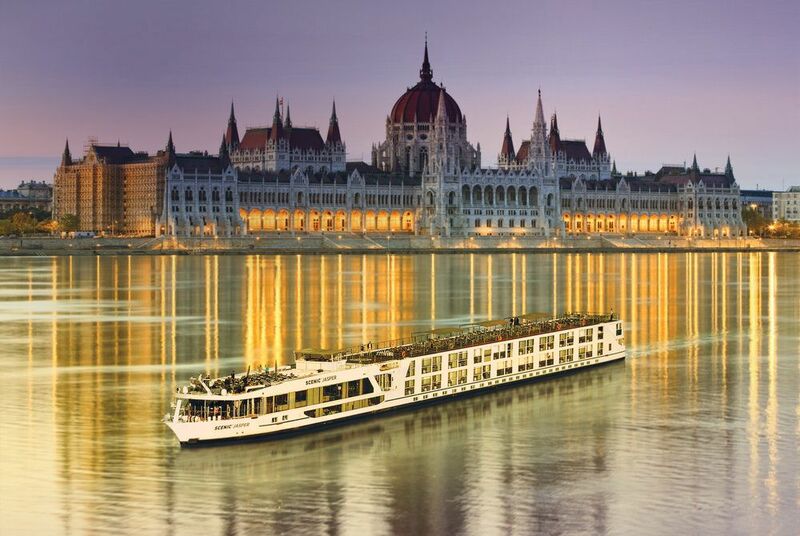 One of the things that puts Scenic cruises above other river cruises is the exceptional experiences you will enjoy as part of the Scenic Enrich programme. Scenic Enrich creates once in a lifetime experiences which will linger in your memory. These might include private classical concerts in the grandest palaces and delicious dinners in outstanding ancient castles. Like everything else with Scenic – this is all included in the price of your cruise. Each of the opulent suites includes the same luxury amenities as standard – the deluxe Scenic Slumber beds (very comfortable indeed! ), HD flat screen, personal safe and L’Occitane toiletries. The exclusive ‘Scenic Sun Lounges’ demonstrate the luxury and focus on total customer satisfaction that Scenic strive for. Inside or outside – your have the choice! Every cabin includes butler service – the higher the grade, the more services are offered. The food on board the ship is generally of a very good standard. 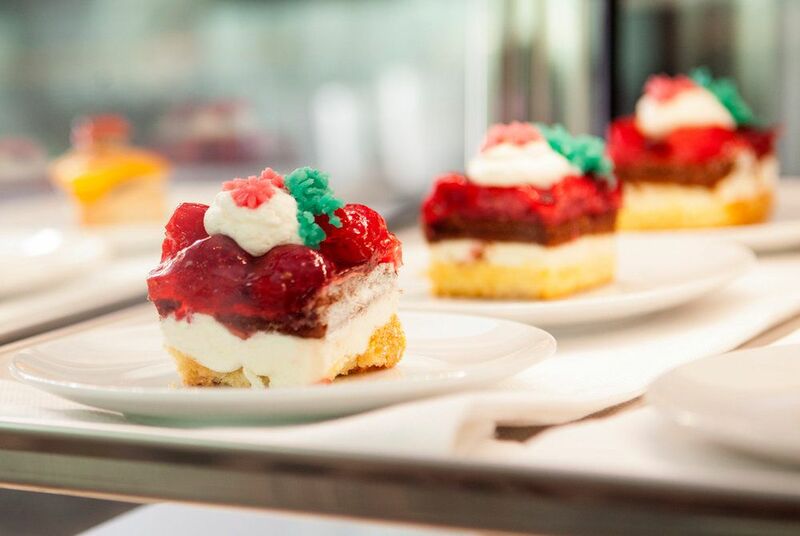 Dinner is predominantly a la carte but breakfast and lunch are buffets of a good standard with plenty of choice. Special diets are well catered for and the chef will try to accommodate any special requests. The on board service is adequate but there is definitely room for improvement. Given that this cruise was the crew’s first ‘exposure’ to passengers, I am sure this can and will improve as they get used to dealing with the public. Entertainment on board is rather limited but will have a local feel dependent on where the ship is. One evening there is usually a ‘crew show’ which is great fun! 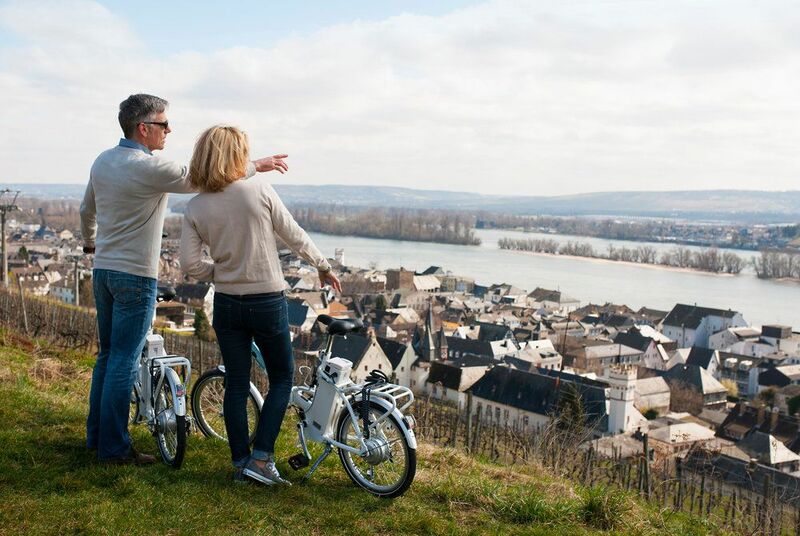 Part of the attraction with river cruising is the opportunity to experience places first hand with the help of your Scenic Free Choice & Tailormade guide. This is a Quiet Vox system which allows you to hear your guide without the need to be next to him/her. It also has a GPS facility to help with self guiding. This system is great and gives guests total flexibility as to what they want to do and where! An Excursion to Zaanse Schans to see the historic windmills, traditional green painted houses and the chance to sample some locally produced Dutch cheese. Guided tour of Hoorn, Netherlands. Our Scenic Enrich experience was here in Hoorn where we came together with the hospitable locals of this quiet pocket of north-east Holland and we dined with them at the magnificent Oosterkerk. A very special evening! 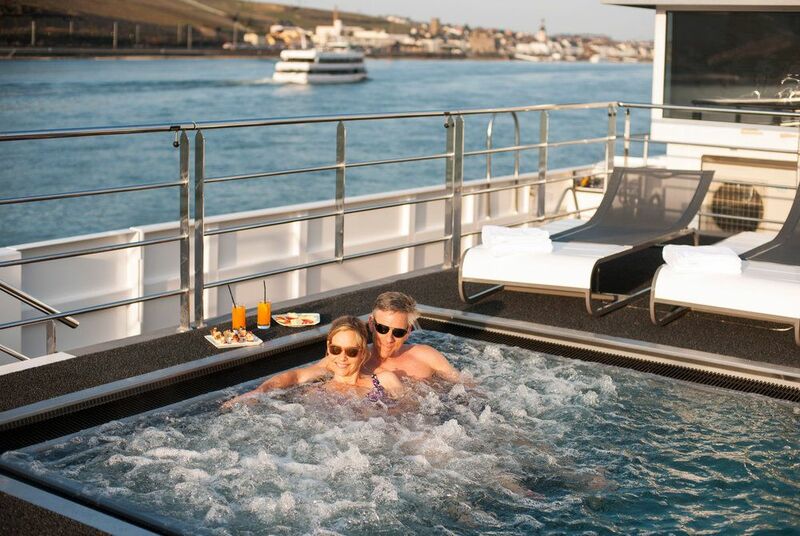 This summer, Scenic will be cruising along the Rhine, Moselle & Danube as well as the rivers of Russia. It should be noted that the service & facilities provided aboard the Russian cruises will be different to the others. In summary, Scenic Jasper is still very much a work in progress but it won’t be long before it is at the top of the river cruise game.